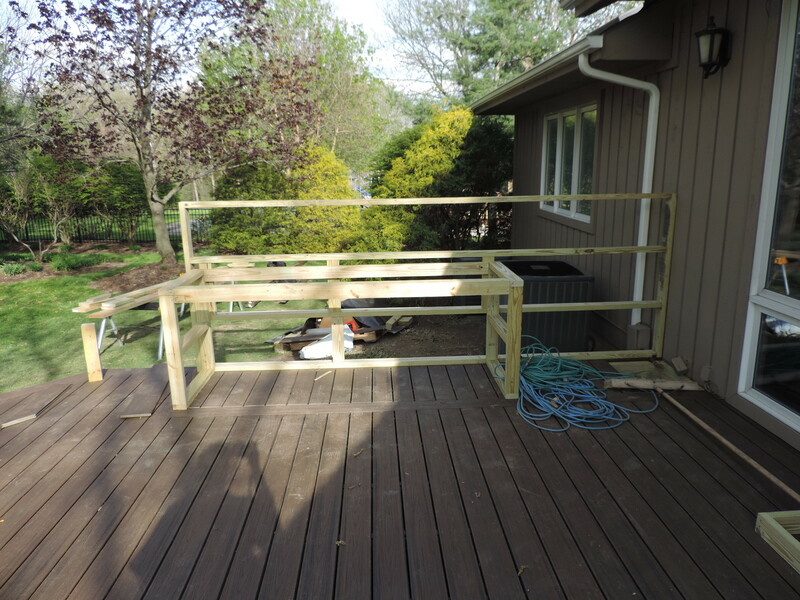 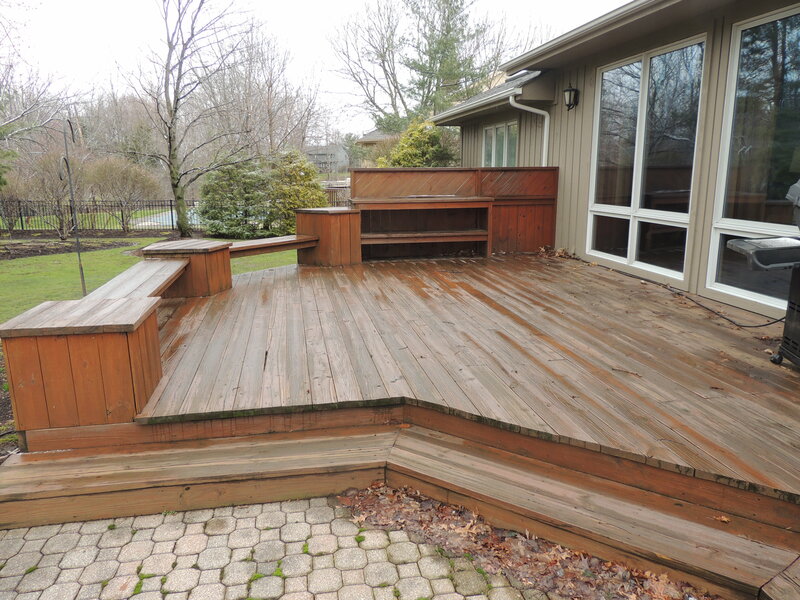 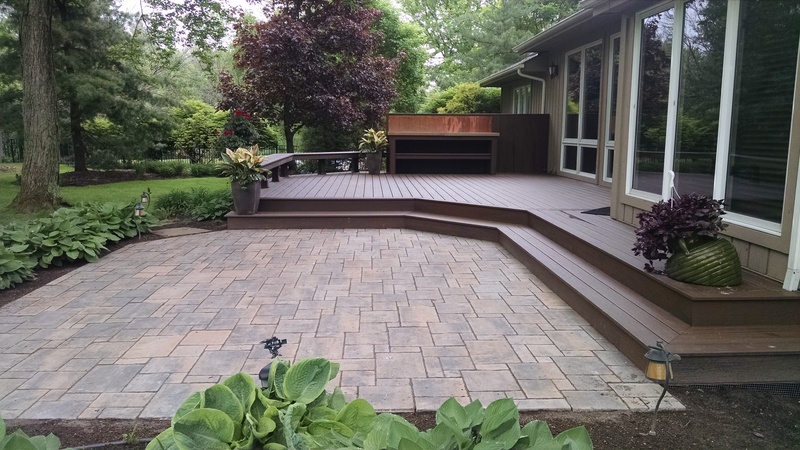 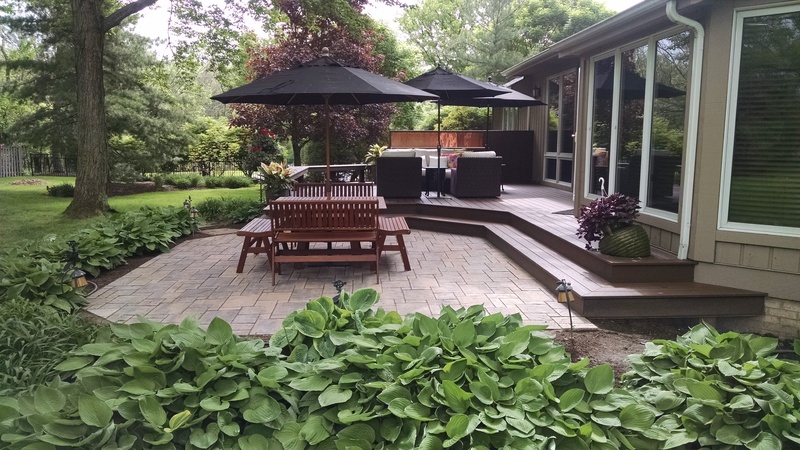 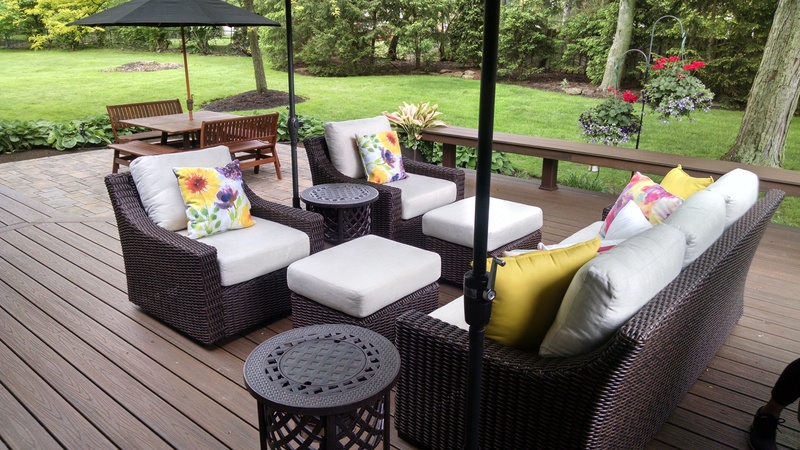 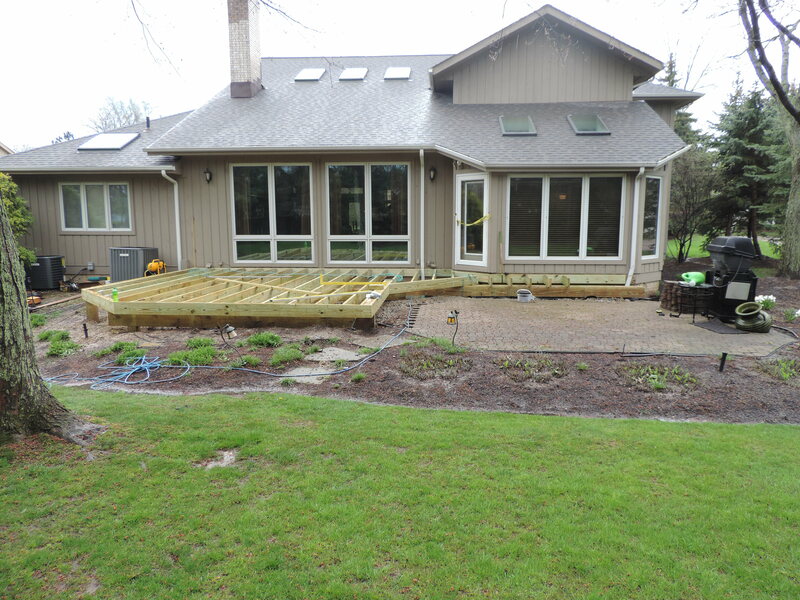 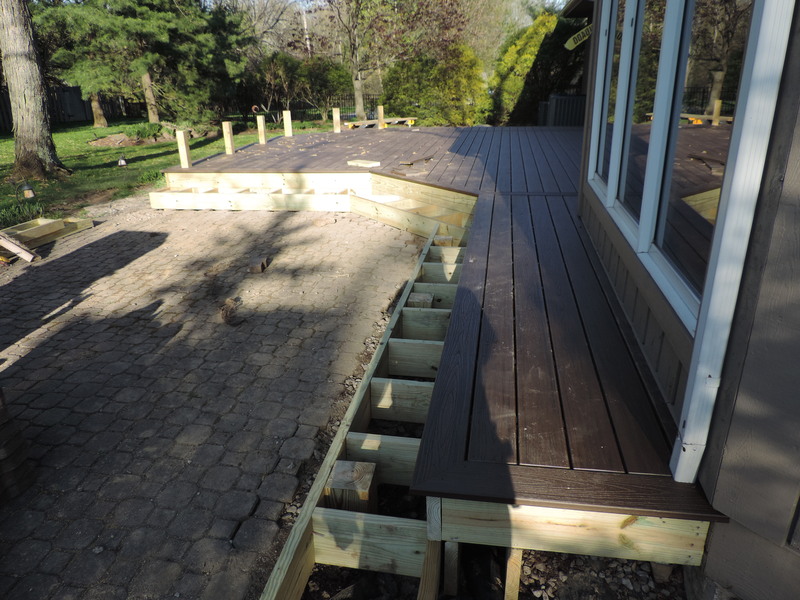 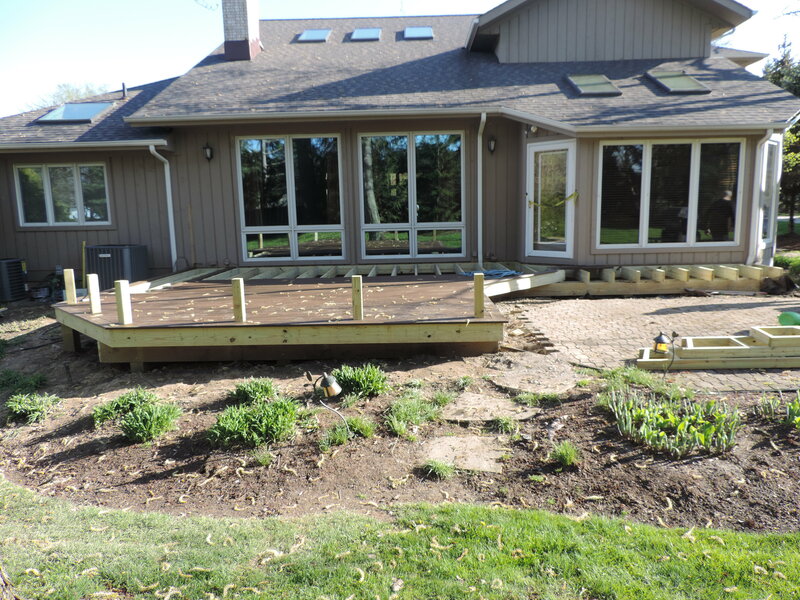 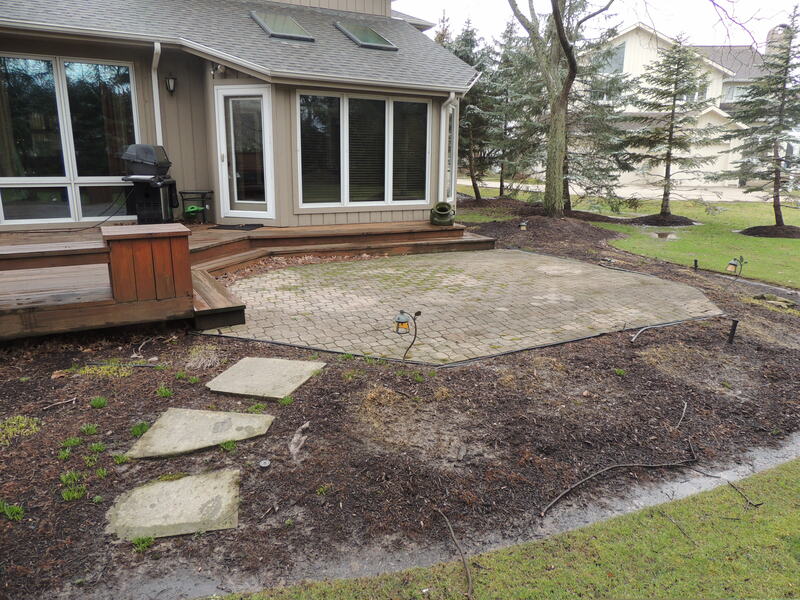 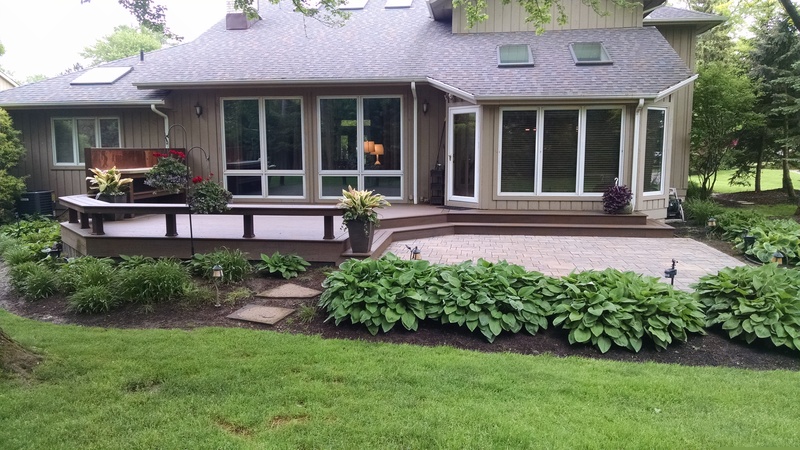 At this Beachwood residence we tore out the old patio and decking. 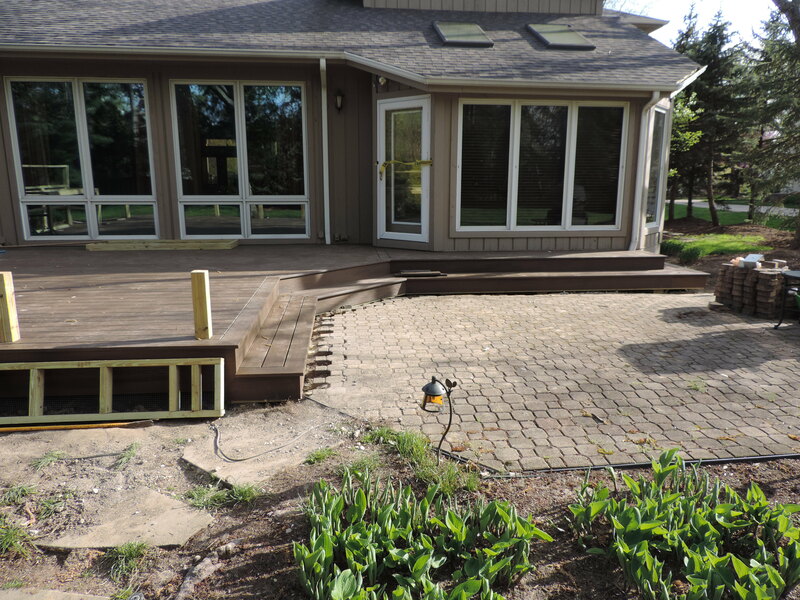 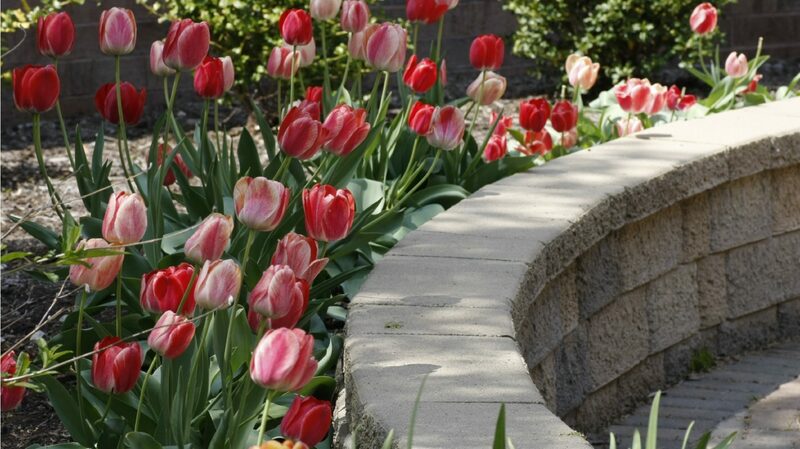 The layout stayed the same but new beautiful pavers and decking were installed to bring this tired space back to life. 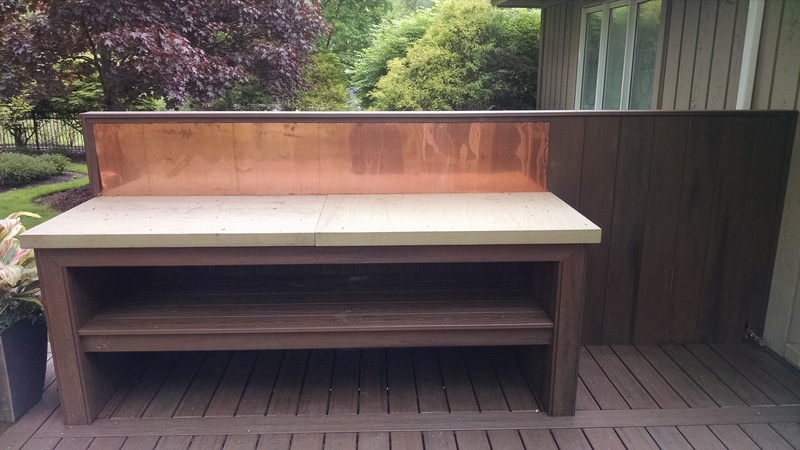 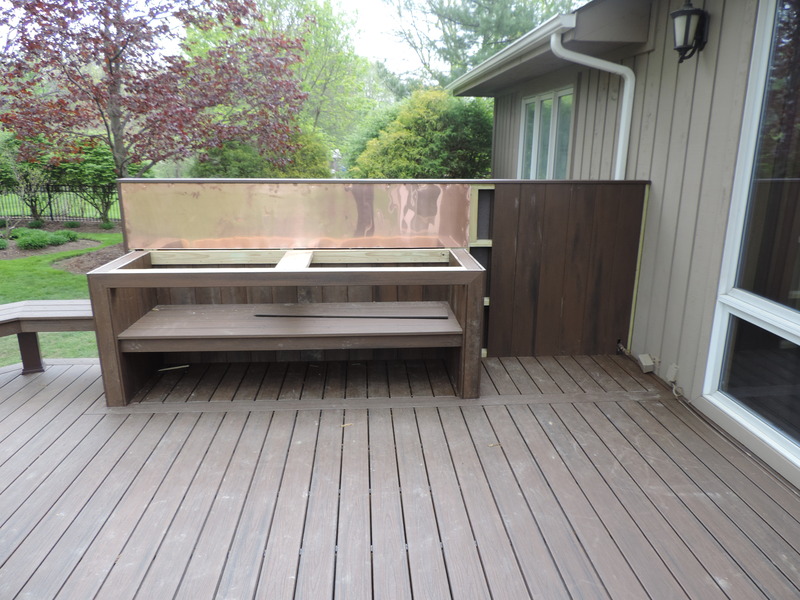 We installed a countertop area with a copper backsplash and we updated the bordering bed with new plants. 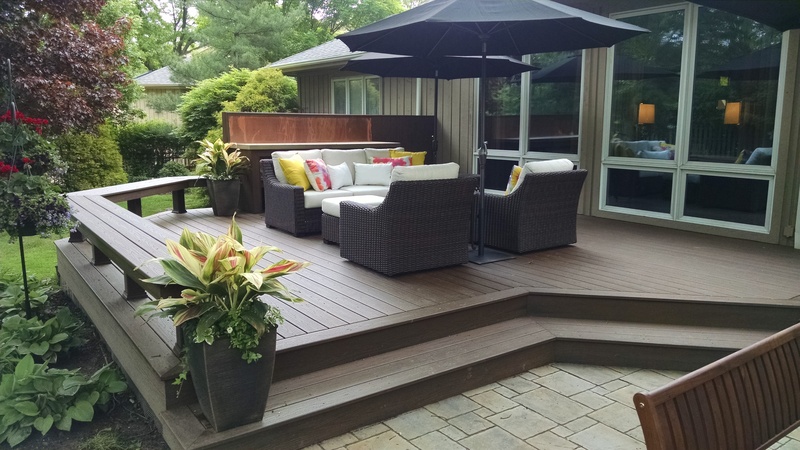 The homeowners added beautiful patio furniture and brought in some extra color using potted plants to tie the space together.